After a remarkable first test of Bridgestone Potenza RE-71R at Buttonwillow Raceway Park, Andrie Hartanto is taking a step further in testing this Bridgestone street tires at Mazda Raceway Laguna Seca, with SpeedSF Track Events. To recap from last Buttonwillow test, the RE-71R definitely proved to be a winner amongst the 180-200 treadwear category after putting it to the test against his favorite street tire, the Dunlop Direzza Star Spec II. 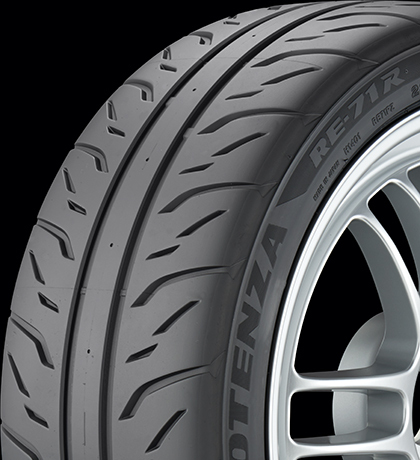 Just how amazing is Bridgestone’s Potenza RE-71R? This time around, we decided to put RE-71R against the popular Nitto NT01 at Mazda Raceway Laguna Seca, where Hartanto set the track record last year while winning the 2014 STU SCCA Runoffs National Champion title. 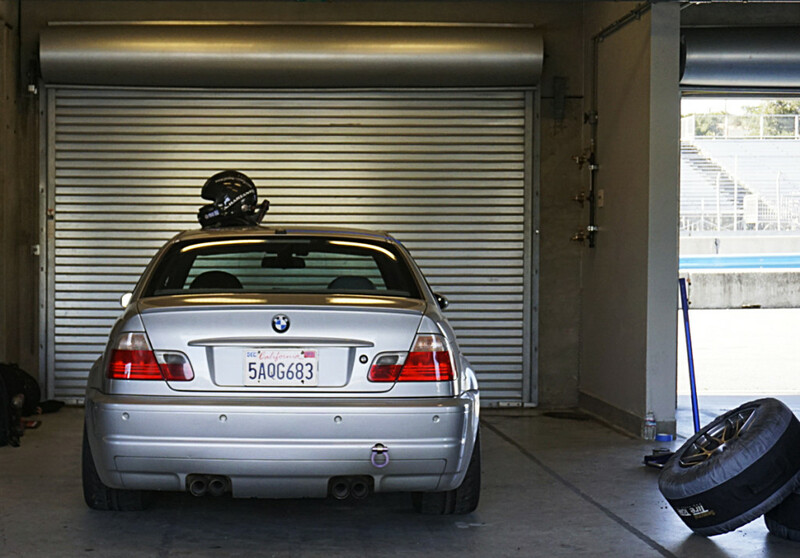 Last weekend, we brought the same BMW E46 M3 with the same set of RE-71R, and put it up against the popular R-compound, the Nitto NT01. 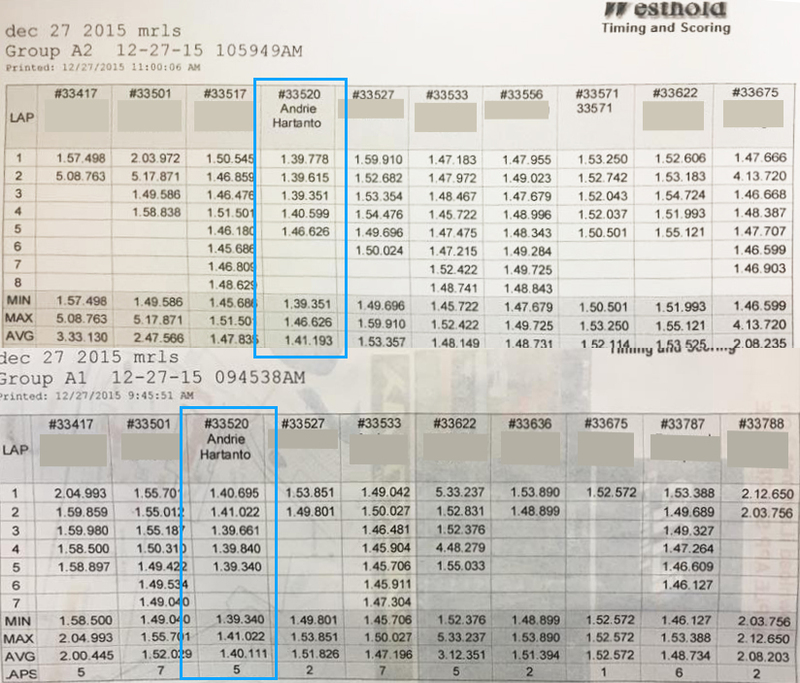 To everyone’s surprise, both produced very similar lap times! Surprisingly, the RE-71R produced the fastest lap time by the slightest of margins, with a time of 1:39.340 and the NT01 at 1:39.351. Also of surprise to some, the RE-71R’s fastest lap time was achieved on the final lap of the session. It should be noted however, that the weather was cooler than normal for Laguna Seca. Now before you run out and order a truckload of RE-71R, Hartanto explains more in depth about the two tires. Please see RE-71R video here and NT01 video here. ***OBD2 connection malfunctioned, please unplug earphones! You have been warned. One should bear in mind that the car’s settings remained static throughout the test. While it would have been possible to adjust the car to handle slightly looser for RE-71R and tighter for NT01 to get more of a neutral handling car and evoke the optimal characteristics of each tire, it was determined that for the purpose of the test, we keep things constant. In the end, the data indicated that the delta between the two tires was non-existent However we decided not to do that, for the purpose of testing, we feel the delta between the two will remain the same, which is pretty much non-existent. 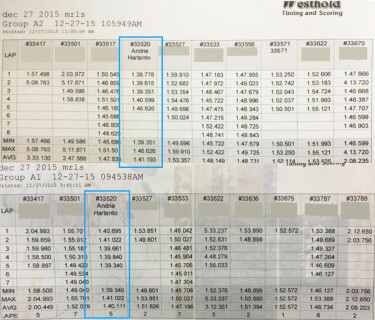 In conclusion, while the Bridgestone RE71R tires did net the fastest lap, it was only by the slightest of margins. That being said, to insert a street tire into the conversation with a tried-and-true R-compound tire is a rather sobering concept. When we initially tested the tires at Buttonwillow, Andrie boldly stated that the RE71R tires were probably just as fast as the Nitto NT01 tires, which more than a few people scoffed at. This brings us to an interesting conversation topic; what is the tread rating on the side of the tire actually mean? Whether at the track, online amongst the various formats of social media and forums and between bench-racing track day enthusiasts everywhere, the discussion of treadwear ratings comes up. As we’re beginning to see with the RE-71R, treadwear ratings may not be the end-all, be-all yardstick relative to track performance that some may have considered. In any case, after two back-to-back tests at two separate tracks, we can confidently conclude that the RE-71R is a juggernaut of a street tire, capable of producing ultra-fast lap times, especially for a tire of its class. 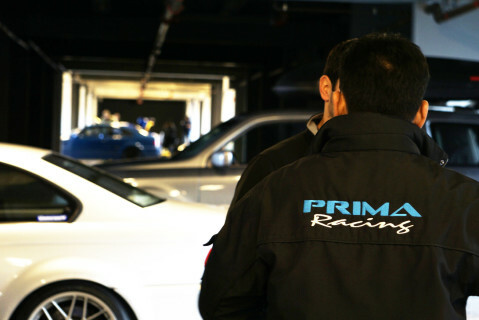 Be sure to follow Andrie Hartanto on Facebook to stay up to date on all of the latest Prima Racing developments. To join us at one of SpeedSF’s upcoming track events, sign up at their website, http://www.speedsf.com/.